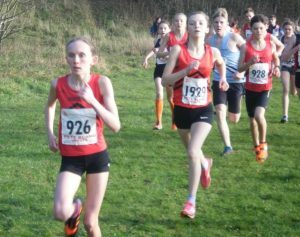 For the second week in succession Horwich Harriers’ juniors excelled in cross country, this week at Marl Pits in Rawtenstall where the muddy and hilly course is a proper challenge that brings out the best in some athletes. 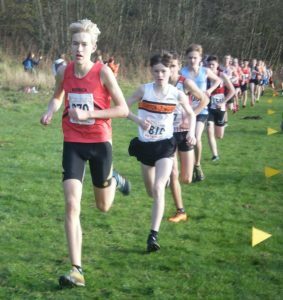 Lucas Milliken again recorded a win at under-15s’ level – tracking the leader for most of the race before kicking on in the final 400 yards to triumph for the second successive week. He was joined by Isaac Battye and Matthew Mair in winning the u15 team competition. 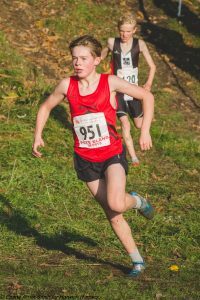 For Ethan Isaacs, winning at cross country is a new experience but he also did it in fine style, once again tracking the leader until the final stretch before powering away. Ben Hall had a very good improving run too, in eighth place. The u15 girls’ trio of Georgia Heath, Lucy Dixon and Eva Baldwin also won the team competition with an impressive individual result of second, third and fifth. 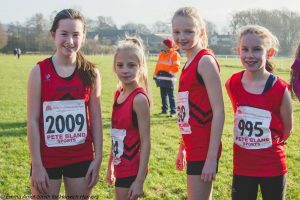 The u13 girls made up of Charlotte Wilkinson, Emma Bradley, Imogen Andreassen and Imogen Wrigley kept going all the way for fourth team place, which was also achieved by the u11 boys’ trio of Harrison Stokes, Sam Bradley and Marty Arnot-Smith. Harrison was third and is building impressively on his family’s athletic heritage – dad Stuart being a GB steeplechase Olympian. In the women’s race, Lindsey Brindle is performing at a consistently high level and this weekend took third place, being first F35, while Janet Rashleigh was first F55. For the men, James Titmuss was the leading Harrier in 26th place and third M40. There were good age-category results, too, for David Purnell (first M50), David Milliken (second M50), Tony Hesketh (first M70) and John Parker (second M75). Graham Schofield joined the Harriers’ first three men to win the team competition out of 14 clubs. 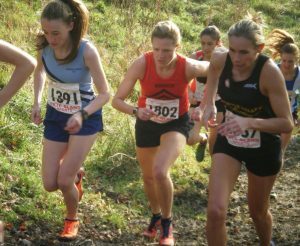 On the road, there were three impressive podium places for the Harriers last weekend. At the Manchester MO Run 10k race, Rob Jackson was third and first M50, less than a minute behind the winner. At the Chorley Fire 10k race, Gareth Booth went one better with second place, followed sharply by James Jordan in third. At the Preston 10-mile road race husband-and-wife team Sean and Maria McMyler both had third places in their respective age categories. The Hell of a Hill series of marathons, taking in Rivington Pike several times each day, took place last week and Julie Williamson was pleased to get a personal-best time for the event on day one and then first female on the second day. In parkrun, James Kevan and Richard Howarth were first and second at Cuerden Valley, while Nick Leigh was second at Worsley Woods and Suzanne Budgett was second female at Witton. Isabella Merritt was first again at the Queens Park junior parkrun. Manchester MO run 10k race – 3rd Rob Jackson 39:28.